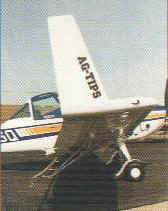 Johnston Aircraft Service, Inc. is a authorized Cessna Ag Support Center. We can supply airframe parts, engines, engine overhauls, 300 and 400 conversion kits, propellers, Vortex Generator Kits, AgTips, spray system parts, and much more. We can also export aircraft, engines, and parts throughout the world!